To redeem your member benefit of no ticketing charge you will need to enter your email or patron ID and use the following procedure. Select your seats and delivery method. 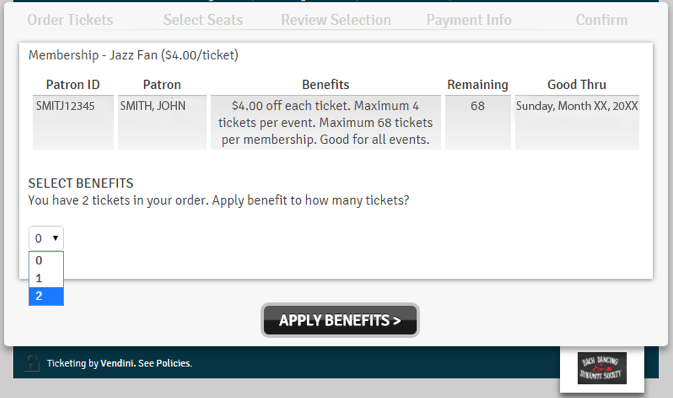 Now you are at the payment screen, go directly to "Redeem Benefits" in the lower left. You may need to scroll down, it is below "Use Gift Card". 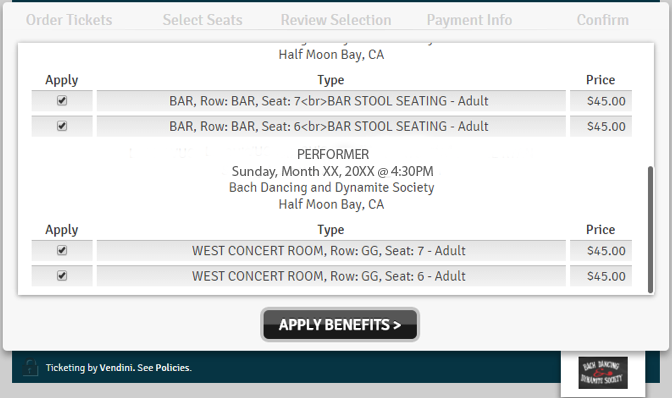 Note that your order total in the lower right includes the ticketing operation fees. 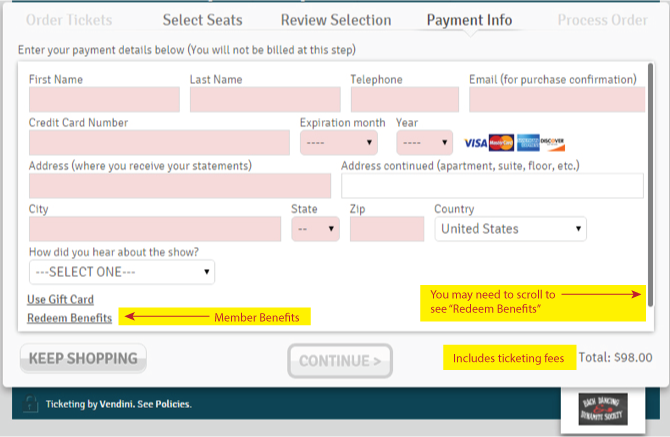 Go to the lower left and click on the arrow to select the total number of tickets in your order and click "Apply Benefits"
Now you are back to the payment screen. This time, enter your payment information. 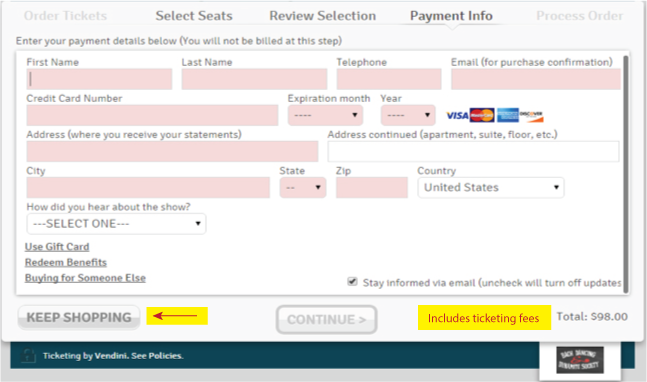 Note that your name will appear on the upper left, and the order total in the lower right now reflects the discount of ticketing operation fees. 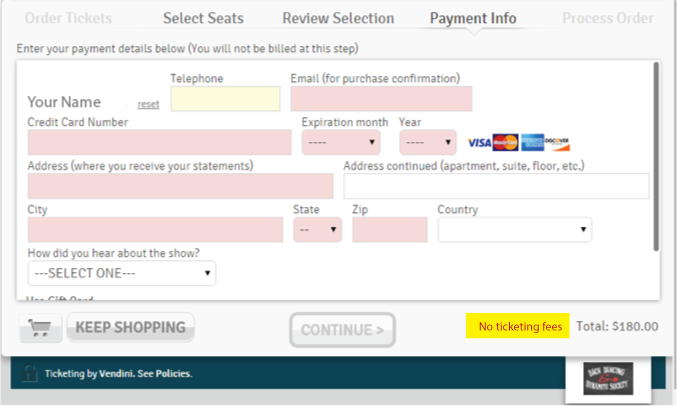 To redeem benefits for multiple concerts in the same transaction, you will need to select seats for the multiple events, enter your ID and apply benefits to see the ticketing charge removed. Select your seats for the first concert. 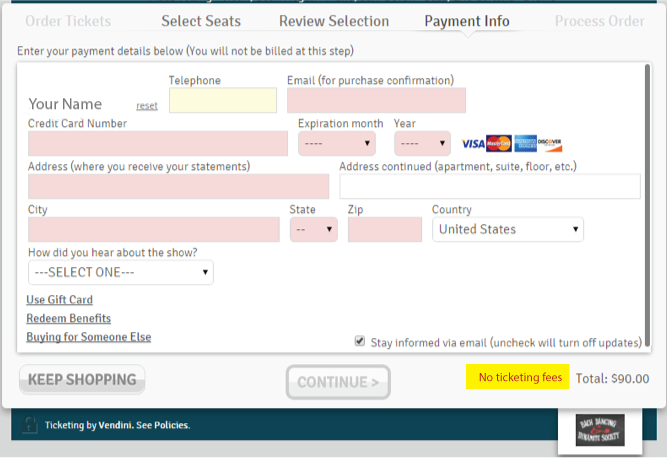 At the payment screen, select "Keep Shopping" (lower left). Now select seats for the next concert. When you get back to this payment screen, scroll down and click Redeem Benefits. You will now see this verification screen. Enter your email OR patron ID and name, then click "Search". 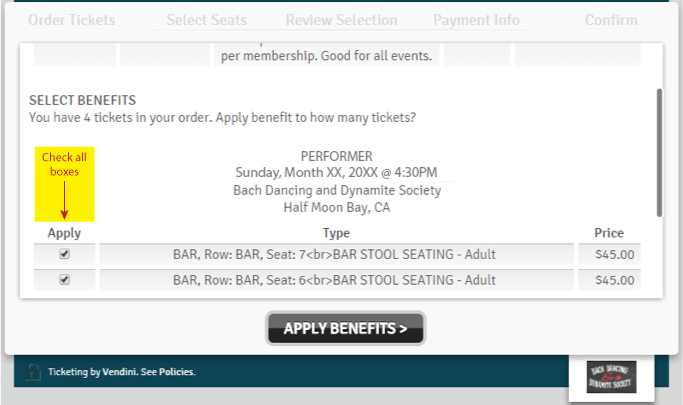 Under the Apply column, check the box for every seat. You may need to scroll down.